Southwest Airlines carried more total system passengers in 2018 than any other U.S. airline. American Airlines carried more passengers on international flights to and from the U.S. in 2018 than any other U.S. or foreign carrier. British Airways carried the most passengers on flights to and from the U.S. of any foreign airline. 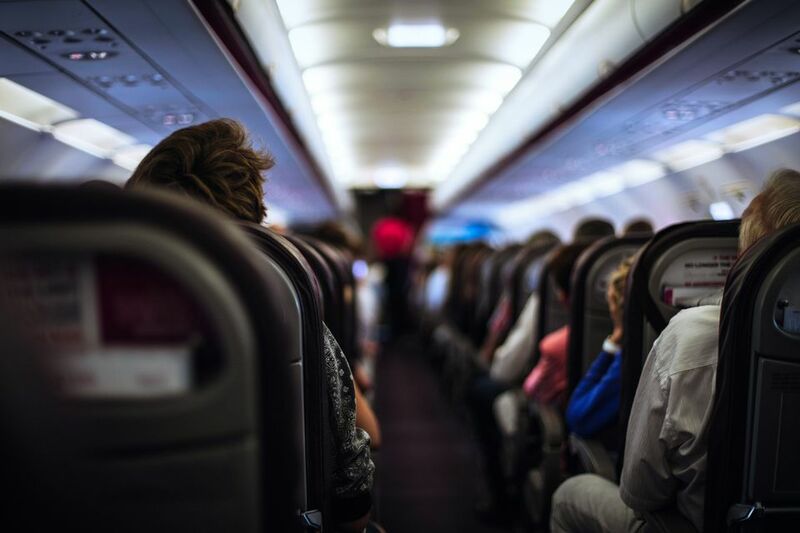 A record 965 million passengers flew on domestic or foreign airlines in 2018, according to the U.S. Transportation Department. Southwest Airlines carried the most passengers with 163,605,692, and American Airlines had the most international passengers. The top three airlines ranked were Southwest, Delta Air Lines with 152,028,678, American Airlines with 148,180,840. Southwest Airlines keeps its costs in check by buying all the same airplane (Boeing 737), for example, so that they can cut the cost of maintaining and outfitting the planes since they are all alike. Southwest has been profitable for 44 years in a row. Having mainly only one model to maintain ensures that the airline's mechanics know how to fix every plane well and that its parts are essentially interchangeable. Another key factor that has increased Southwest's ability to grow was the acquisition of AirTran Airways in 2011. As of 2014, AirTran's routes were fully absorbed into Southwest. As of August 2018, Delta Air Lines was at the top of the market value list with a market value of around 37.1 billion U.S. dollars, followed by Southwest Airlines valued at 30.4 billion dollars. American Airlines fell to fourth places with 19.9 billion dollars value after Ryanair's holdings valued at 21.3 billion dollars. The top airport in the world is Hartsfield-Jackson Atlanta International Airport. According to the Airports Council International in 2017, Atlanta's airport serviced the most passengers (104 million). The growth of Delta, which now operates the second-largest fleet on earth, with 5,000 daily flights out of Atlanta is a result of earlier acquisitions, too. Delta’s largest fleet expansion followed the bankruptcy of Pan-Am Airlines in 1991 when Delta took over a selection of its aircraft assets and flight routes. After a more recent merger with Northwest, Delta briefly held the top spot on this list with Delta’s 1,280 aircraft. But, it was surpassed in 2015 by American Airlines. As for where in the U.S. that more passengers boarded the most international flights, that was at New York's John F. Kennedy International Airport. American and Delta both operate major hubs out of JFK Airport. American-based airlines may dominate the friendly skies now, but China's airline industry is taking off. Atlanta, Georgia, may have the busiest airport in the world, but not far behind is Beijing Capital International Airport with 95 million passengers per year. There are a staggering 182 commercial airports in China, the world’s most populous nation. According to statistics compiled by Brand Finance, Chinese carriers are rising in value far greater than their American counterparts. Chinese Airline growth has increased by up to 21 percent. China Southern’s brand value has risen by 10 percent in 2018 to $4.1 billion and remains the leader in the Chinese market, ahead of China Eastern, whose value increased by 21 percent to $3.8 billion. Air China comes up third, with a 19 percent increase to $3.4 billion. For comparison, although American and Delta are industry leaders, American has faced a 7 percent decrease in value in the last 12 months and Delta has gone down by 6 percent. Another strong competitor, German airliner Lufthansa, has seen its brand value grow tremendously by 29 percent to $2.9 billion. It is being viewed as one of the fastest growing brands in the world. Lufthansa’s sudden boom is likely tied to the collapse of Air Berlin, which increased Lufthansa's market share and the expansion of its flight portfolio. Which Airlines Are Losing Your Luggage?